Across entire verticals of the economy the new normal is the recurring revenue business. Charging customers on a monthly basis, firms with this model have to play by an entirely new set of rules, rules which generally favor the customer over the seller. But this new model also opens up fantastic opportunities to provide and extract more value from the relationship as well. To create that value business needs to move away from a hunting mindset to a farming mindset. That change is the new paradigm of Customer Success. Many business leaders have heard of Customer Success but few understand what it really means to run their business from the Customer Success standpoint. Even fewer have the experience to build the Customer Success function and optimize its performance. As a pioneer in the field of Customer Success, Guy Nirpaz is acknowledged as one of the earliest proponents of this business realignment. 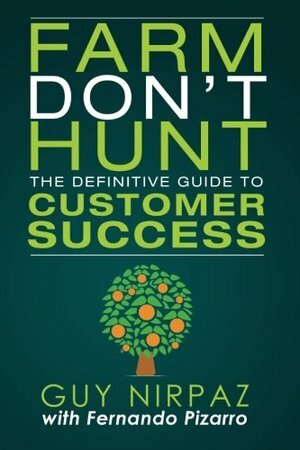 In “Farm Don’t Hunt” Guy breaks down the intellectual underpinnings of Customer Success as a theory and quickly moves to providing pragmatic, actionable advice for orienting your business around this new model.